In April, Jordan's King Abdullah came to Washington and passionately urged the United States to become "captain of the team" supporting Syrian rebels fighting to oust President Bashar Assad. Though he got his wish with the Obama administration's June 13 announcement that it will begin providing direct military aid to the Free Syrian Army, the diminutive monarch has a strange understanding of teamwork. When the Los Angeles Times subsequently published an article detailing how CIA instructors were on the ground in Jordan training rebels, the king's prime minister told reporters straight-faced that there is "no training ... whatsoever of Syrian opposition forces" in Jordan, and insisted that his government is "not interfering in the incidents under way in Syria." The rebels' other major Arab sponsors display similar duplicity. Qatar and Saudi Arabia have been willing to covertly arm and equip Syrian rebels, but unwilling to do so openly, even as they urge Washington to pick up the banner and run with it. The trend is not new. For decades, Sunni-led Arab governments shied away from openly challenging Tehran and its proxies, while privately pressing the United States to contain and roll back the so-called "Shiite crescent" stretching from Iran through Iraq and Syria to Lebanon. Though partly attributable to concerns about strong popular sympathies for the Iranian-led "resistance" axis and restive Shiite minorities at home, the tiered statecraft of Arab leaders also reflected hard-nosed politico-strategic calculations geared more toward leveraging American pressure than adding to it. The Saudis, for instance, discretely encouraged the Bush administration's high-profile efforts to pull Lebanon out of the Syrian-Iranian orbit from 2004 to 2008, while maintaining courteous diplomatic relations with Tehran (and with Assad, apart from one 18-month interlude) and making low-profile efforts to support their local clients. Political constraints are even less of a factor for Arab leaders now that the Sunni Arab street has been brought squarely into agreement with them on the perils of Iranian regional ambitions. Concerns about Iranian subversion of Arab Shiites may discourage open participation in a bloody sectarian war, but they don't explain why Arab governments haven't been doing everything possible covertly to support the rebels. Given ample resources, a rebel coalition drawing support from Syria's two-thirds Sunni Arab majority is sure to eventually win a war of attrition against pro-regime forces recruited primarily from Alawites comprising one-eighth of the population. The problem is that they haven't been given ample resources – least of all money (the most important resource of all in a country with less and less of a gun shortage). Lack of funds is the main reason why the rebels still field substantially fewer combatants than the regime by most estimates, despite their enormous demographic advantage. The reluctance of Arab regimes to support the rebels full throttle owes much to their anticipation that America will eventually intervene to stem the regional spillover (an expectation entirely consistent with the Obama administration's gradually deepening commitment to the rebel cause over the past two years). Their primary concern is not to accelerate the inevitable collapse of Syria's minoritarian autocracy – it is to reap the greatest possible share of the spoils from it, at the least possible expense. This means giving various insurgent factions enough arms and financing under the table to win their respective loyalties and keep them fighting until America steps in, but not enough to enable an outright rebel victory. Although Arab leaders are telling Washington that a larger American footprint in Syria will facilitate a peaceful solution to the war, their privately expressed faith in the palliative impact of U.S. intervention in the Arab world is disingenuous. Arab leaders aren't waiting for Captain America because they think he will save the day. They are waiting because they want someone else to take responsibility for the horrific violence they know will yet be required to decisively defeat their enemy. 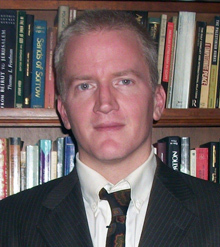 Gary Gambill is an associate fellow at the Middle East Forum.